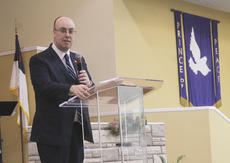 State Sen. Jimmy Higdon brought his Mama Jo Nuckols Prayer Breakfast to Bardstown Saturday. The annual event, which is usually in or near his hometown of Lebanon, was hosted this year by Faith Worship Center on Bloomfield Road. Pastor Freddy Riggs of Faith Worship Center in Bardstown welcomed guests to Sen. Jimmy Higdon's 17th annual Mama Jo Nuckols Prayer Breakfast Saturday. Patrick Rogers, left, and Cory Johnson lead the singing at Faith Worship Center Saturday for the 17th annual Mama Jo Nuckols Prayer Breakfast. William Lewis raises his hands as he prays at the annual Mama Jo Nuckols Prayer Breakfast at Faith Worship Center Saturday. 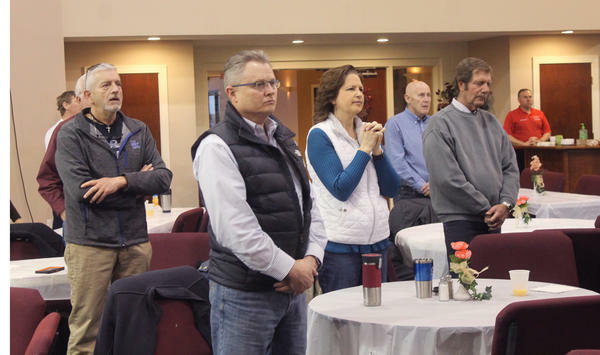 Members of Faith Worship Center and guests from Nelson and other counties attend Sen. Jimmy Higdon's 17th annual Mama Jo Nuckols Prayer Breakfast Saturday. Cindy Beck raises her hand in praise as she sings at the Mama Jo Nuckols Prayer Breakfast Saturday at Faith Worship Center. 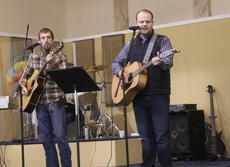 Cory Johnson leads the music part of the worship service Saturday at the Mama Jo Nuckols Prayer Breakfast at Faith Worship Center. Brother Lee Watts, chaplain of the Kentucky General Assembly, was the main speaker at state Sen. Jimmy Higdon's annual Mama Jo Nuckols Prayer Breakfast Saturday. 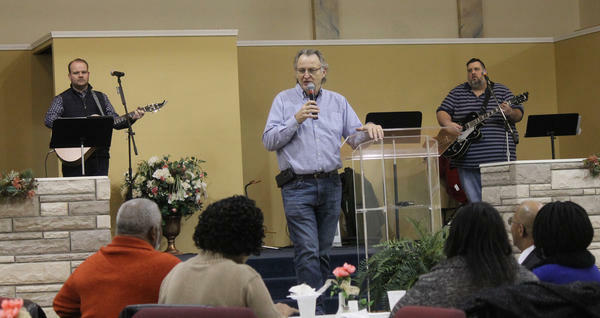 It was the 17th time for the free breakfast and worship service. The breakfast is named for a pastor who came up with the idea, Josephine Nuckols. 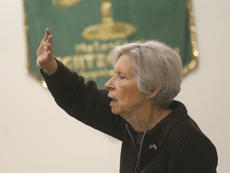 There were only two local elected officials in attendance, Bardstown City Councilmen Roland Williams and Bill Sheckles. 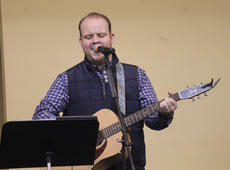 About 45 people attended the event, which began with a hearty bacon-and-eggs breakfast, featured contemporary praise music, prayers and a homily by Brother Lee Watts, chaplain of the Kentucky General Assembly. Higdon, who is Catholic and also belongs to his wife Jane’s interdenominational church, brings together people of different faith backgrounds, from charismatic to Catholic, for prayer and worship at the start of each legislative session. 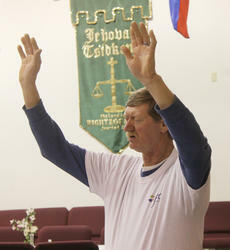 “Prayer is all that gets me through sometimes,” he said.